(TORONTO) — 30 Forensic Engineering, Canada’s leading and fully-independent multi-disciplinary forensics firm, is pleased to announce that its Road Safety Group has officially been renamed to Transportation Safety Group. After nine successful years as the Road Safety Group, we have recently transitioned our name to the Transportation Safety Group, which is a better representation of the group’s expanded areas of practice. All members of the Transportation Safety Group are exclusively dedicated to road safety, and through active involvement in numerous transportation associations, committees and conferences throughout North America, keep apprised of industry best practice. 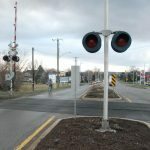 Each year, the group teaches a two-day seminar on intersection safety to transportation practitioners in Ontario through the Ontario Traffic Council. This year, the team continues to foster road safety and risk management in Canada through expanded one-day workshops dedicated to pedestrian and bicycle safety.